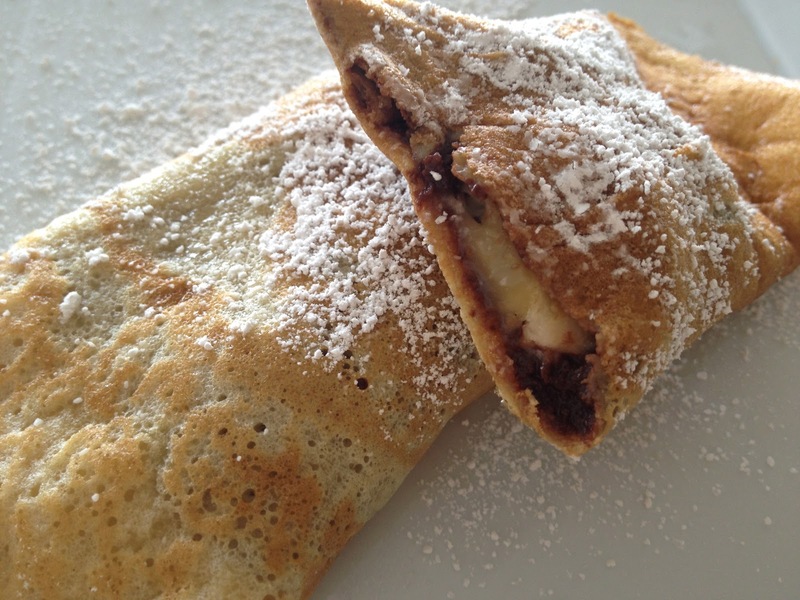 My husband requested “Nutella” (chocolate and hazelnut spread) and banana crepes. We came up with the recipe for the spread ourselves and for the crepes, I sweetened up the crepes from the Candle 79 Cookbook. Super easy and totally fancy. Keep the spread in the refrigerator until ready to use. It will be good for about a week. Preheat the oven to 350. Toast the hazelnuts for 10 minutes. Cool and then rub the skins off by rubbing them between your thumb and pointer finger (as best as you can.) This takes a few minutes. It is very meditative! Grind the hazel nuts in the food processor first. Then add the rest of the ingredients and process until everything is incorporated. Combine all of the ingredients for the crepes in a blender. Brush a non-stick skillet with grapeseed oil and heat it up. Pour the batter into a 1/4 cup measuring cup and pour onto the hot pan. Quickly lift the pan off of the heat and tip it around to spread out the batter. Return to the heat and cook until the edges become brown. 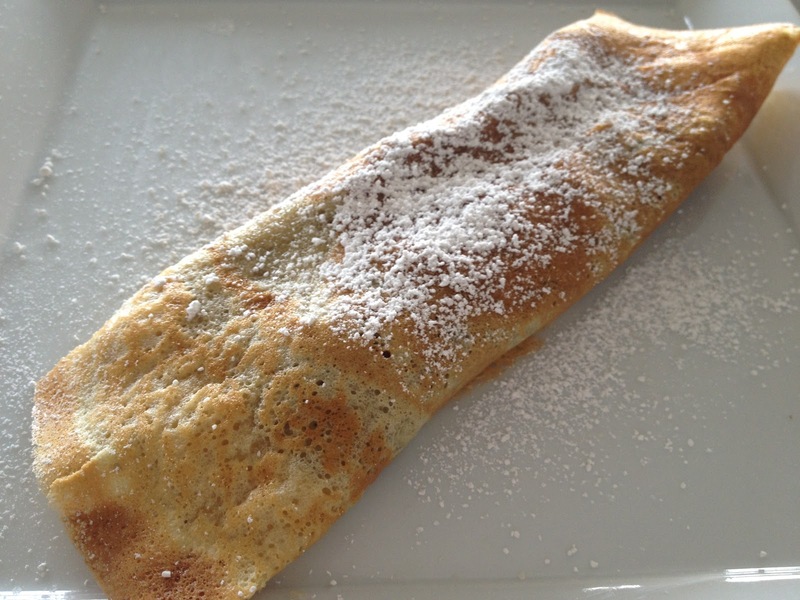 Using a spatula, flip the crepe over and cook for about 1 minute. Do the same for all of the batter. To assemble, spread the nutella on the crepe using an icing spatula. Place the banana slices at one end. Roll it up and sprinkle with powdered sugar. Enjoy! This type of spread is a favorite among my kids. With maple syrup. There are crepes cooking right now! Smells good!!!!!!!!!! !